At points of care in Ghana, a health care worker registers patient data on paper. Then, a second step of manual data entry into DHIS2 tracker must be completed either by the same health care worker or a dedicated health information officer. This creates up-to-date data that can be used for decision making, but also represents an extra reporting burden for the health workers. Based on a review of the HIV/AIDS program, changes have been implemented to ease up double registering of data and information. The number of data elements and attributes a health worker needs to enter into DHIS2 tracker for each patient has been greatly reduced, and valuable indicators are met. These changes are important to ensure complete and timely reporting from the health facilities. 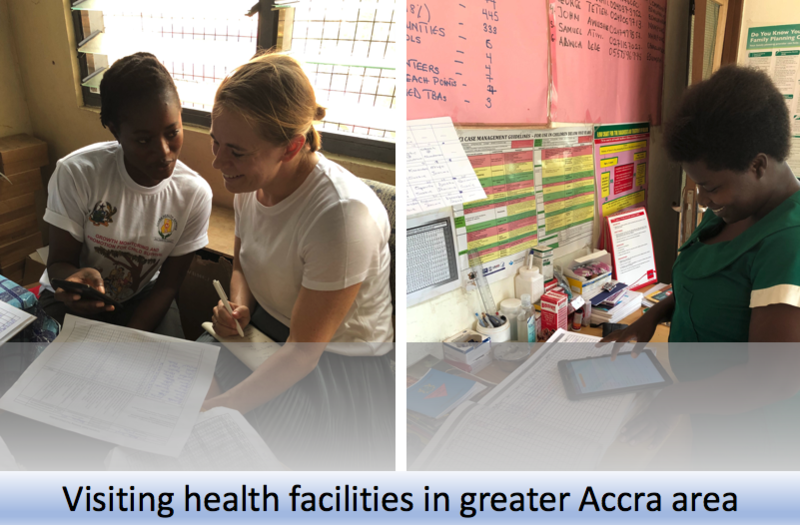 In January 2019, a team from UiO joined representatives from the Centers for Disease Control and Prevention, Ghana Health Service (Policy, Planning, Monitoring and Evaluation division) and The National AIDS Control Program to start implementing these changes.